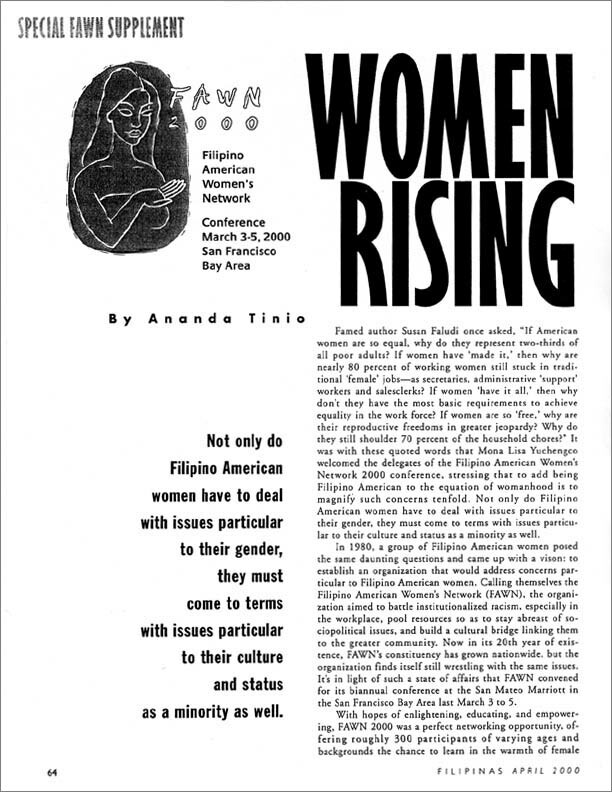 Filipinas Magazine and FWN of San Francisco hosted the FAWN 2000 conference in San Mateo California in March 3-5, 2000. Here is a Special Supplement Feature from Filipinas Magazine's April 2000 issue. Click here for downloadable PDF (best for PC screen viewing only). Large file 2.9 MB.